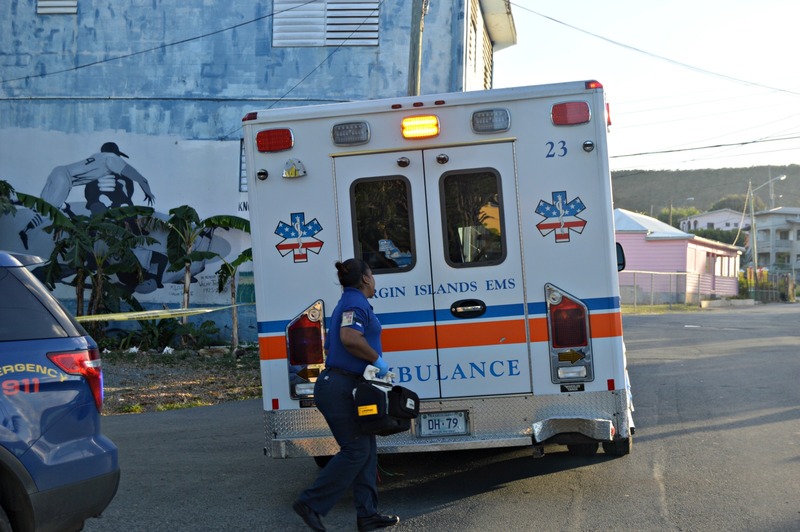 CHRISTIANSTED — Two men were killed and one injured in a shooting that took place near Watergut Homes on Monday afternoon, according to police and unofficial reports. One of the surving injured is Chief V.I. Superior Court Judge Harold Willocks’ son who was reportedly an innocent bystander playing dominoes when a shooter got out of his car and proceeded to shoot two men dead. Willocks’ son was shot in the leg and not considered to be seriously injured, according to one eyewitness account. Police said that they have a description of the murder suspect and are actively pursuing him at this moment. The shooter left the scene of the crimes — the site of multiple fatal shootings in the last three years — on foot. The two dead men are reportedly brothers and were seated playing dominoes when they were fatally wounded. 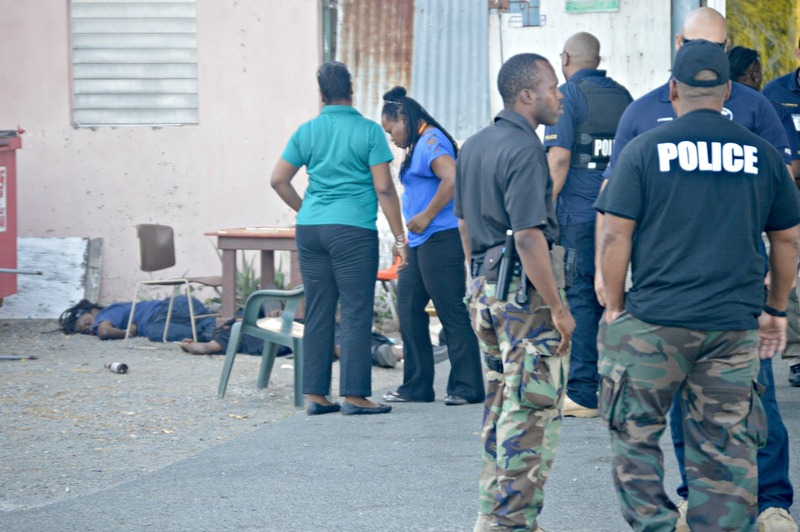 Police have not yet issued a statement, identified the dead men, or released any official information as of 10:42 a.m. on Tuesday March 29.